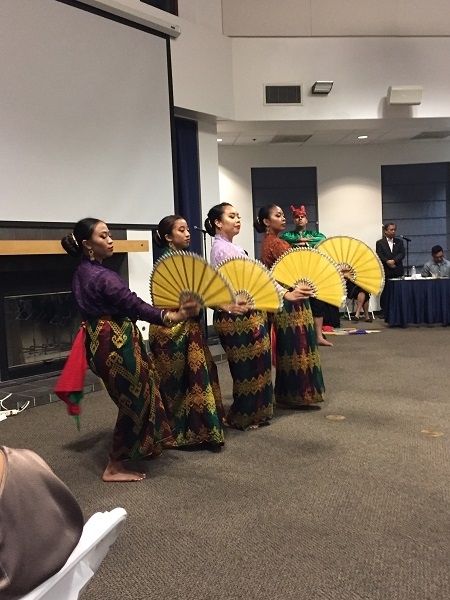 On Saturday, September 29th, the Bulosan Center for Filipino Studies Initiative (BCFSI) was officially launched at the University of California at Davis. 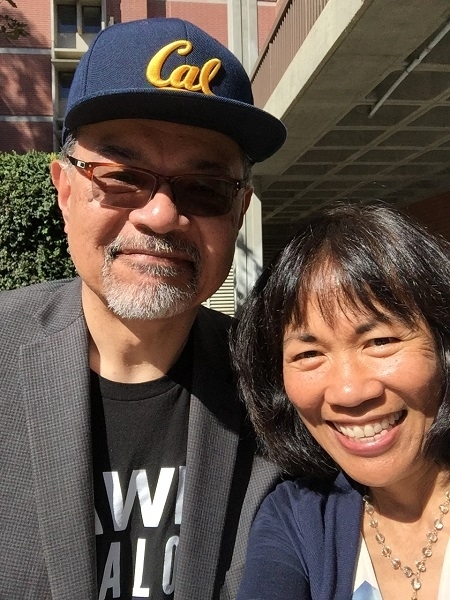 Dr. Robyn Rodriguez, Chair of UC Davis’s Asian American Studies Department, founded BCFSI, turning her vision of a University of California-based research and education center for the study of Filipinos into reality. 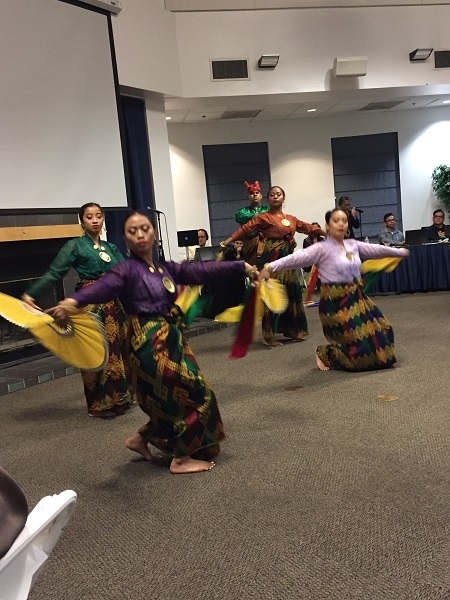 My alma mater, the University of California, Davis, home of the Bulosan Center for Filipino Studies. 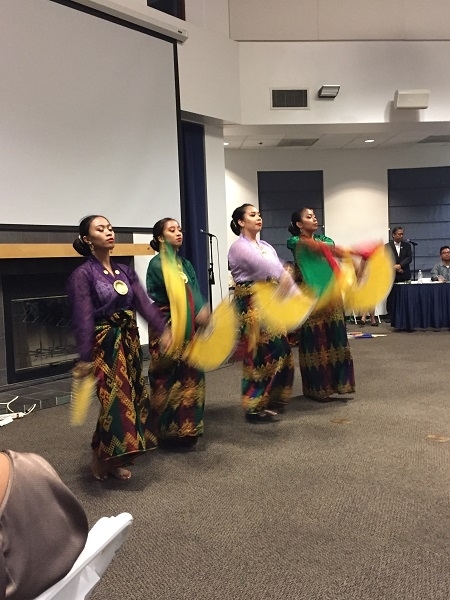 During the day, the UC Davis Asian American Studies Department, the Bulosan Center for Filipino Studies Initiative, and LEAD Filipino hosted a Civic Leadership Forum: A Filipino Community Policy Symposium for building a progressive future. 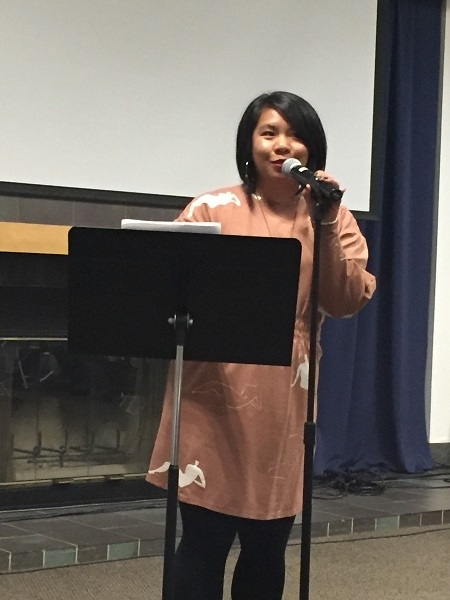 The symposium is an important first step in continuing the Filipinx and Filipinx-American community’s long and deep legacy of activism and advocacy. 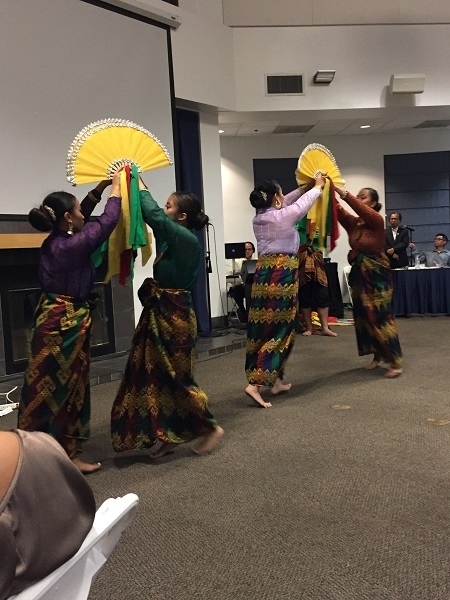 From the symposium’s program: “The Filipinx and Filipinx-American community is one of the oldest and largest Asian populations in California. According to the Filipino-American National Historical Society-Monterey Bay Chapter, the first documented presence Filipinos in North America was on October 18, 1587, when Filipino laborers on the Spanish galleon trade entered Morro Bay, California. 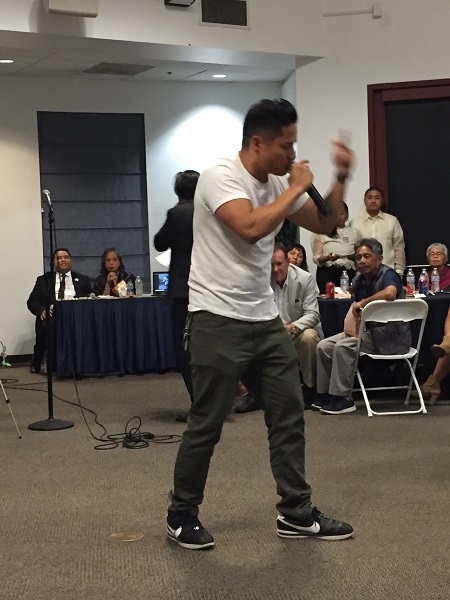 A report by Asian Americans Advancing Justice, meanwhile, finds that as of the 2010 census, Filipinos are the largest Asian American ethnic group in the state. Not surprisingly, that also means that the Filipino community is also the largest voting population in the state. Despite this, Filipinx are highly underrepresented in policy making. Looking at the state legislature alone, of the 12 members of the Asian Pacific Legislative Caucus, only two are Filipino. In fact, the very first Filipino American to be voted to the state assembly, Rob Bonta, was only elected in office in 2012. This lack of representation impacts our daily realities with policies rarely addressing our needs. Currently, the most marginalized of our community are experiencing wage theft, a lack of affordable housing, poor access to healthcare, deportations, and much more. 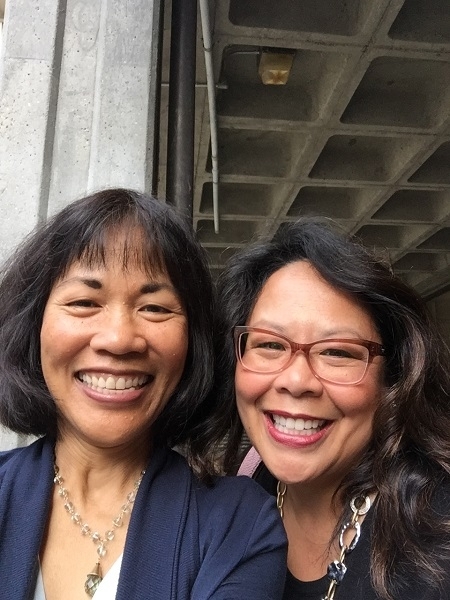 I met Mona Pasquil Rogers, Appointments Secretary for the Office of Governor Jerry Brown, three years ago at the Biannual Conference for the Filipino American Educators Association of California (FAEAC) in September 2015. She was part of the panel on policy at the symposium today. It was great to catch up with her again. “Even with these difficulties, grassroots groups, non-profits, and policy makers are contributing to progressive changes at the local, county, and state-level such as fighting for livable wages, creating rapid response networks for undocumented immigrants, starting small businesses rooted in Filipinx culture, running for office, and leading campaigns for domestic and international human rights. Our communities’ ability to create positive change stems from our history of activism in this state including labor organizing efforts led by our manongs (and crucially supported by our manangs!) in California’s Central Valley, which was in turn inspired by hundreds of years of resistance in our homeland. I shared a table outside the symposium with Abe Ignacio, president of the Filipino American National Historical Society’s East Bay chapter. He is the librarian for the Filipino American Center of the San Francisco Library. He is also co-author of The Forbidden Book, a collection of political cartoons on the Filipino-American War. The dinner program features a photograph of volunteers helping to build Agbayani Village in 1974, courtesy of Lorraine Agtang, the village’s first manager and among the first donors to the Welga Digital Archive collection. BCFSI hosted the First Annual Benefit Dinner later in the evening at the UC Davis Walter A. Buehler Alumni Center. Dr. Rodriguez penned a greeting for Saturday evening’s event: “One of the greatest legacies of Filipinos’ leadership and participation in the 1965 Delano Grape Strike was not only the creation of the United Farm Workers (UFW), which would go on to fight for better working conditions for farm workers of all racial backgrounds, but the building of Agbayani Village in 1974 at the Forty Acres facility, which served as a retirement facility for elderly, Filipino bachelor manongs who had spent the entirety of their lives working as agricultural laborers and without the opportunity to create families due to racist anti-miscegenation laws. Numerous volunteers from throughout California participated in the construction of the retirement home. Dr. Robyn Rodriguez spearheaded a fantastic symposium and successful fundraising dinner. 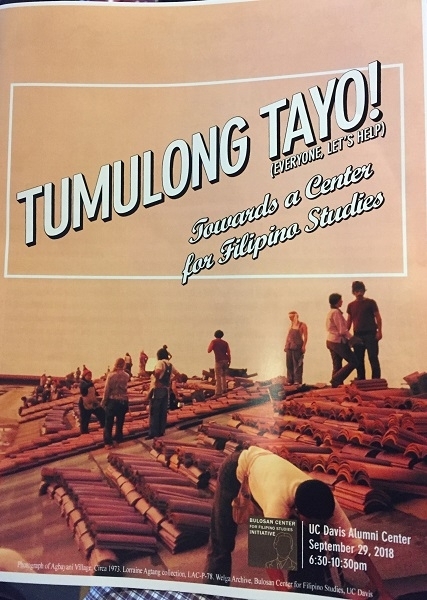 “The Bulosan Center for Filipino Studies aims to continue Carlos Bulosan’s legacy by advancing research, education, and advocacy for historical and contemporary issues faced by Filipinos in the United States, globally, as well as in the Philippines. 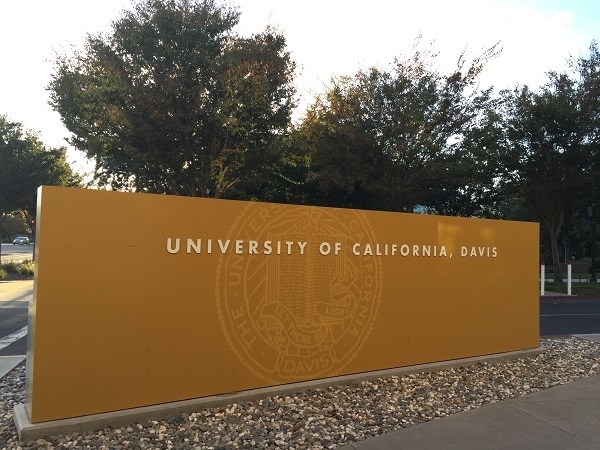 Under the direction of Dr. Robyn Rodriguez (Professor and Chair of the UC Davis Department of Asian American Studies), the BCFS has established both a physical and digital presence on the UC Davis campus. The Center’s focus will stretch across multiple disciplines and fields, such as public policy, sociology, cultural studies, history, public and economic health. 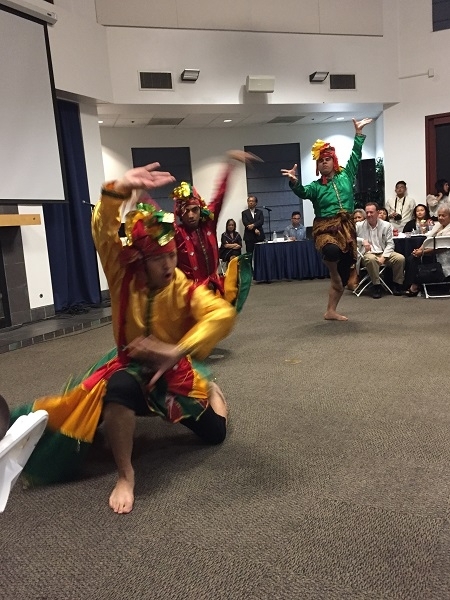 This center is not only the FIRST-EVER University of California-linked institution devoted primarily to the study of and advocacy for Filipinos in the diaspora, but also the first-ever institution of its kind in the nation. “Thought Filipinos have one of the longest histories of settlement in the state of California, and continues to be one of its largest Asian ethnic groups, we fail to be adequately represented as students and faculty in the University of California, one of the most prestigious public research university systems in the entire country. Knowledge production and education on the Filipino diasporic experience, particularly from a community-engaged perspective while expanding, is still insufficient for addressing our needs. “Statistics indicate that among undocumented Asian immigrants, Filipinos constitute the largest share of the Asian immigrant population in the United States. Yet, we have little research on their experiences despite our four centuries worth of immigration history. Similarly, though news reports and campaigns by Filipino organizations indicate that labor trafficking is an issue plaguing our community, Fil-Am communities nationwide are not aware of the mechanisms that facilitate the trafficking of their fellow pinay and pinoy community members. If knowledge is power, then the Filipino community is severely disempowered. The Bulosan Center for Filipino Studies aims to change that. “Several other minority groups like Puerto Ricans, Haitians, and the Hmong have achieved university-based research and education centers devoted to the study of their respective peoples. The City University of New York (CUNY) system established the Center for Puerto Rican Studies in 1973 and more recently established the Haitian Studies Institute in 2016. Meanwhile, several major universities in the Midwest (namely the University of Wisconsin, Milwaukee and Concordia University, St.-Paul, Minnesota) have centers devoted to Hmong Studies. We thus have plenty of models to emulate in moving forward with this Initiative, however, campus and university support has been minimal. We thus draw on the activist legacy of people like Carlos Bulosan to create a Center for Filipino Studies from the grassroots. Our activities for the 2018-2019, our first year of existence, will be supported primarily from the Filipino community including in-kind support, volunteer labor, and monetary contributions. Dr. Robyn Rodriguez gives a heartfelt tribute to Dr. Dawn Mabalon. 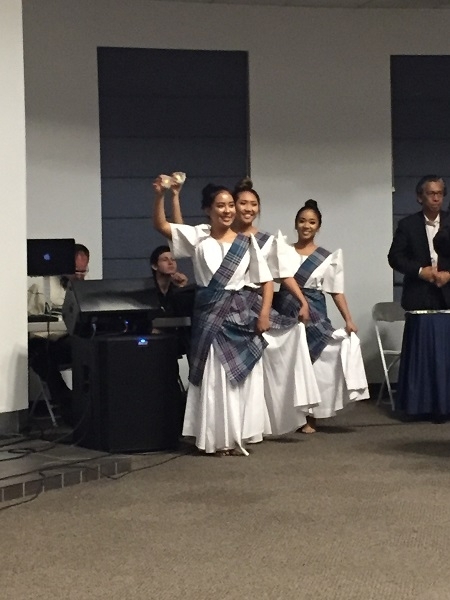 The fundraising dinner was a wonderful celebration of the Filipinx spirit. Dr. Rodriguez and her team did an amazing job of building a community that will continue to grow and support current and future initiatives the center. Dr. Rodriguez gave a touching speech, dedicating the evening in memory of Dr. 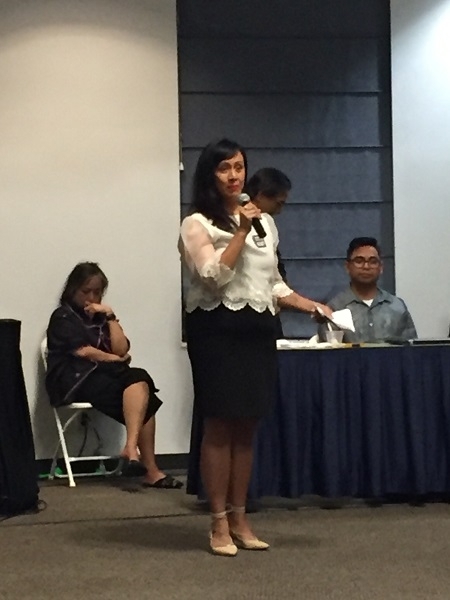 Dawn Bohulano Mabalon, history professor at San Francisco State University, scholar, activist and advocate, and champion of the preservation of Stockton’s Little Manila neighborhood. 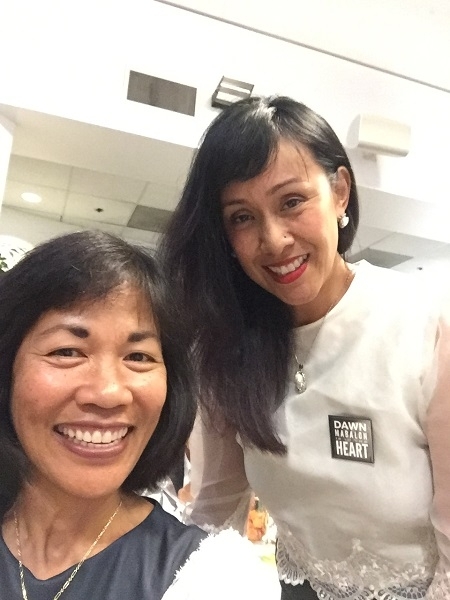 Dawn introduced me at my book launch at Eastwind Books of Berkeley back in September 2015. She will be missed greatly, but our community looks to many others to carry on her legacy. Dinner was provided by Roline’s Uniquely Filipino (2048 Nut Tree Road, Vacaville, CA). The meal of rice, pansit, chicken adobo, and beef was topped by a halo-halo bar. It was the first time I’ve had jello in my halo-halo, which was very tasty. 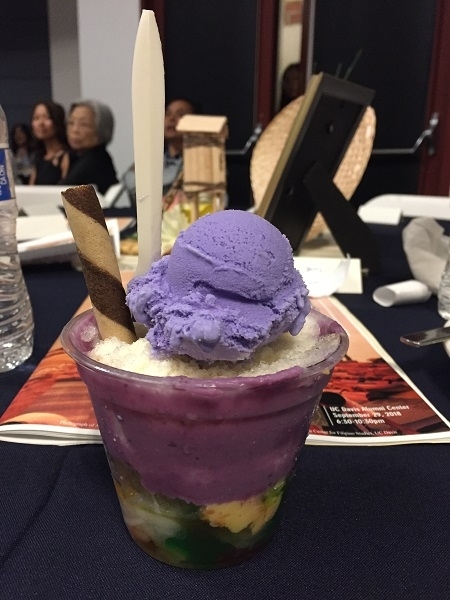 Halo-halo! I haven’t had one in years. Delicious! Ben Fenkell and Allan Samson Manalo served as masters of ceremony. The performances showed off the many talents in our community: Doble Bara, an alternative hip-hop band from Daly City and Kalsada; pinay poet, writer, and educator Janice Sapigao; the Little Manila Dance Collective, which preserves and promotes Stockton’s Filipina/o culture through traditional dance and music; Kuttin Kandi, a Pinxy American DJ from Queens; Mga Kapatid Vintage, a dance troupe branch of Mga Kapatid, a Filipinx American student organization at UC Davis; and Nomi, a Filipino American hip hop artist/activist from the group Power Struggle. The success of the evening bodes well for the future of BCFSI, and I’m excited to be part of its growth. 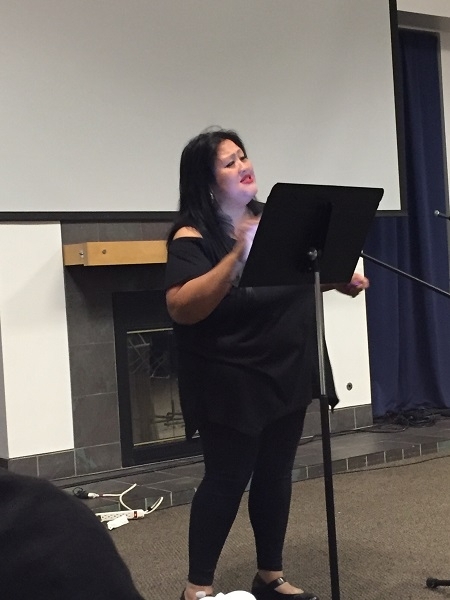 Poet Janice Sapigao read poetry about her family, which was very moving. 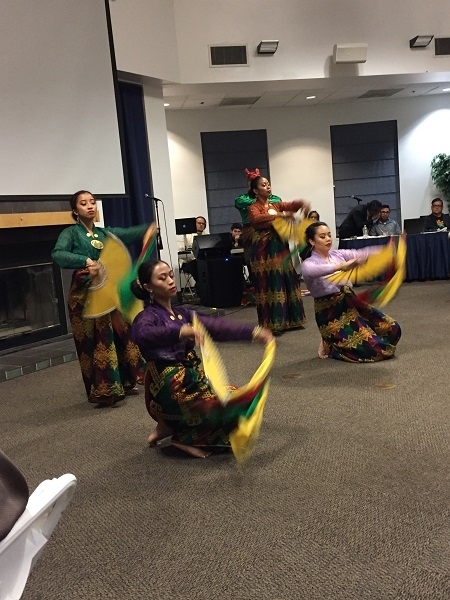 Mga Kapatid Vintage dance troupe, comprising UC Davis students from its Mga Kapatid student organization. They did a traditional dance with candles. Kuttin Kandi, a Pinxy American DJ. Nomi, Filipino American hip-hop artist/activist from the group Power Struggle. 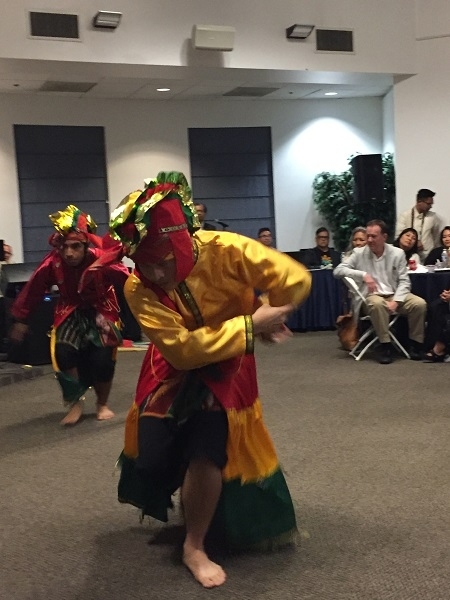 The Little Manila Dance Collective nurtures a multi-generational community of artists, dancers, and choreographers who are passionately connected to folk and indigenous art forms of the Philippines. 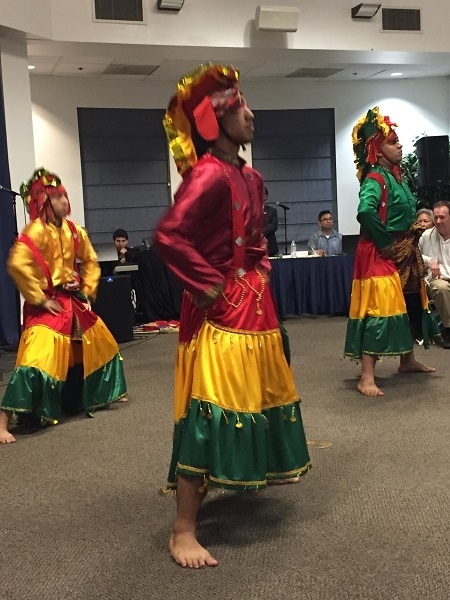 The Little Manila Dance Collective is supported by cultural resources and artists in the Bay Area, Sacramento, and the Philippines to promote the proper practice and appreciation for folk and indigenous dance, music, and attire. Fan dance, the Little Manila Dance Collective. The Little Manila Dance Collective. A dance by the men of the Little Manila Dance Collective. Colorful costumes of the Little Manila Dance Collective. An energetic dance by the Little Manila Dance Collective. 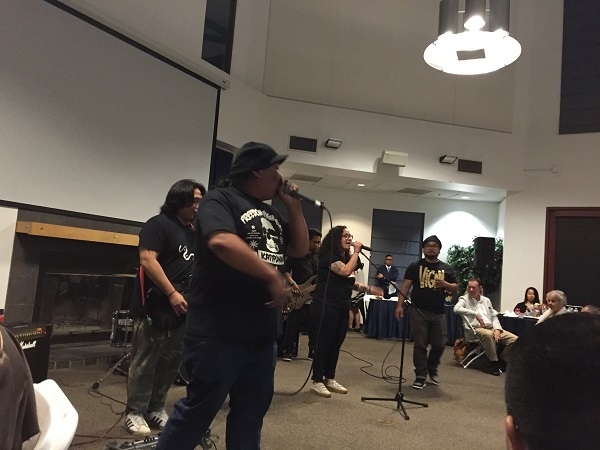 Doble Bara, an alternative hip-hop band from Daly City and Kalsada.